Corporate Social Responsibility means making a positive difference in our wider community. Freeths are a forward-thinking firm and we are keen to do our bit for a wide range of community programs. This could be through offering our expertise to help people in need, or by simply giving up some of our time. We play active roles in organisations, volunteer in schools and provide pro bono work. 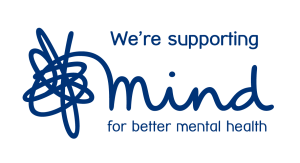 We are pleased to announce that our new firm charity will be Mind, the leading mental health charity. Mind campaign to improve services, raise awareness and provide support directly to those who need it most. We look forward to working with Mind on their mission to get support and respect for everyone experiencing a mental health problem. Last year, we were proud to support Alzheimer’s Society, the UK’s leading dementia support and research charity. We have raised over £50,000 for this cause. In May, over forty of our staff took part in a charity skydive – reaching heights of 10,000ft at speeds of up to 120mph before making the leap! We also conquered the Yorkshire 3 Peaks Challenge last year, climbing 3 mountains in under 12 hours. We are committed to being more environmentally friendly, recycling widely in our offices to reduce our impact on the planet. We do this by using recycled products where possible, aiming to source our energy ethically by investigating alternative renewable energy sources, and carrying out audits of our buildings. Freeths are proud to be making progress with a firm-wide travel plan. This includes our Cycle to Work scheme and encouraging our staff to use public transport through subsidised season tickets. We ensure that all our suppliers are aware of our CSR Policy, and that we progressively influence them to adopt good environmental practices. 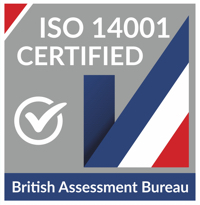 To underline our commitment we have gained ISO14001 accreditation.